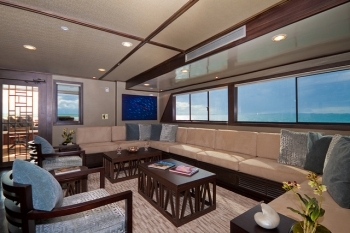 Embark on the Galapagos Sea Star Journey to explore this unique cruising area in comfort and style. Experienced and professional crew ensures quality onboard and will make your excursions ashore be memories of a lifetime. 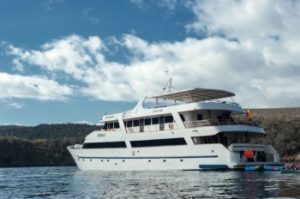 The Galapagos Sea Star Journey (former Grand Odyssey) accommodates 16 guests in 8 spacious guest suites all equipped with en-suite facilities and with large windows letting you enjoy the wonderful landscapes of these truly spectacular cruising waters directly from your cabin. 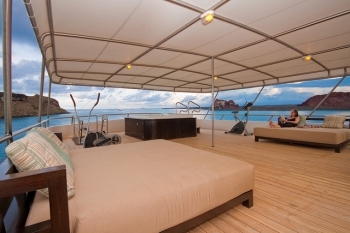 For more information of the Galapagos Islands visit out Galapagos Destination page.